The terms “Heterochromia iridum” and “Heterochromia iridis” are often used interchangeably to refer to a condition characterized by two different colored eyes. But often again, both terms are distinguished by nitpickers. Heterochromia iridis is when one or more regions of the same iris are pigmented differently from the rest of the iris. 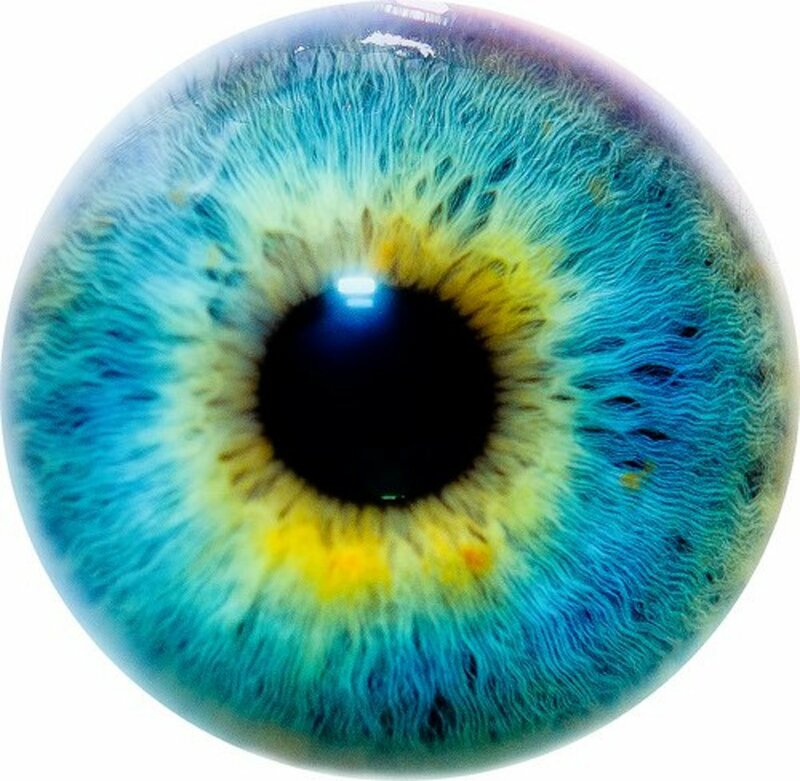 The iris is a circular structure inside your eyeball that displays your eye color. Heterochromia iridum is when both eyes have different colors ; it is for people with two different colored eyes. How About a Bit of Greek? The word “Heterochromia” literally means “difference in color or pigmentation.” The word is also used to refer to a pigmentation difference in the skin and hair. Heterochromia in the skin and hair are less common than that of the eye. For simplicity, heterochromia of the eyes will simply be referred to hereafter as heterochromia. This is the type of heterochromia where one eye has a different color from the other. It is also referred to as Heterochromia iridum. 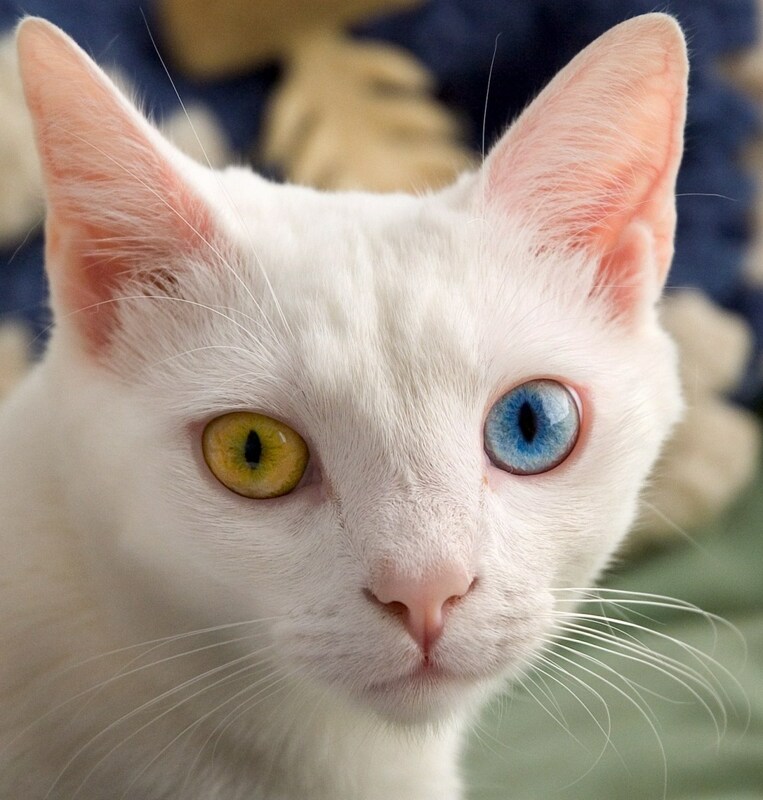 Complete heterochromia reminds me of Amy, a character in the movie X-men First Class. Professor X described her eye condition as a very “groovy” mutation. Alice Eve is a famous actress with complete heterochromia. Her right eye is green, and her left eye is blue. She is best known for her featured roles in several movies including the 2013 Star Trek into Darkness. Does Angelina Jolie have central heterochromia? Maybe that is what gives her such a penetrating gaze. This type of heterochromia is characterized by a ring around the pupil with a different pigmentation from the rest of the iris. The ring is usually located at the centre of the iris closest to the pupil. It is sometimes very easy to confuse central heterochromia with the hazel eye color. There is a huge variety of hazel eyes, they generally show a continuous shift in color from brown to green as you move outwards from the pupil. The boundary between two colors is more distinct in heterochromia. Sectoral heterochromia, also known as Partial heterochromia, is the type where one portion (or more portions) of the iris has a different color from the rest of the iris. Another famous person with heterochromia is Elizabeth Berkley. She was born with Sectoral heterochromia in her right eye; there is a brown section in the lower part of her right iris. Heterochromia of the eye happens because of a disturbance in the distribution of pigment in the iris. Either one eye has more pigment than the other or portions of the same iris are pigmented differently from the rest of the iris. Pigments are like ingredients for eye color while the concentration of each pigment is like the recipe. Most cases of heterochromia are benign. 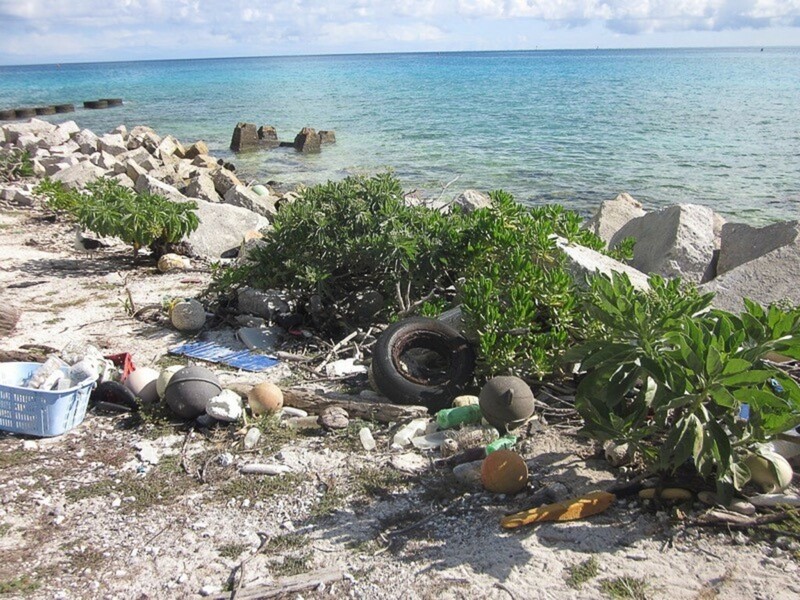 They are often not accompanied by visual complaints or health abnormalities. The causes of heterochromia of the eye can be classified either as genetic or acquired. 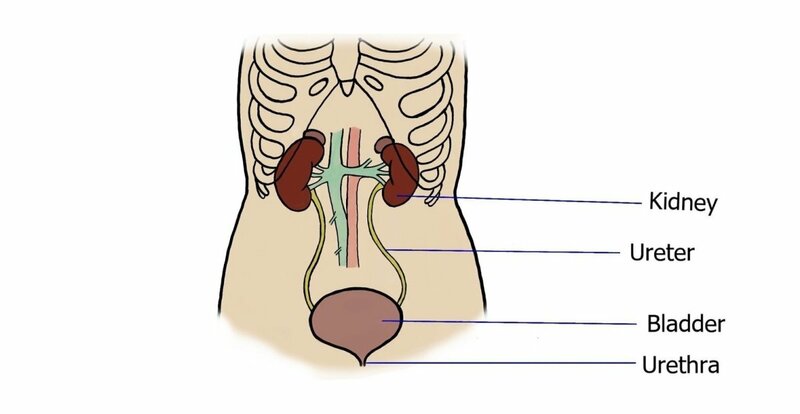 When it is acquired, it can be from a disease or from an injury. Most people with heterochromia inherited it from a parent, this is called congenital heterochromia. The gene for heterochromia is autosomal dominant. This means that if a parent has it, there is a good chance it will be passed down through generations. Some congenital heterochromia is due to syndromes such as Waardenburg syndrome. 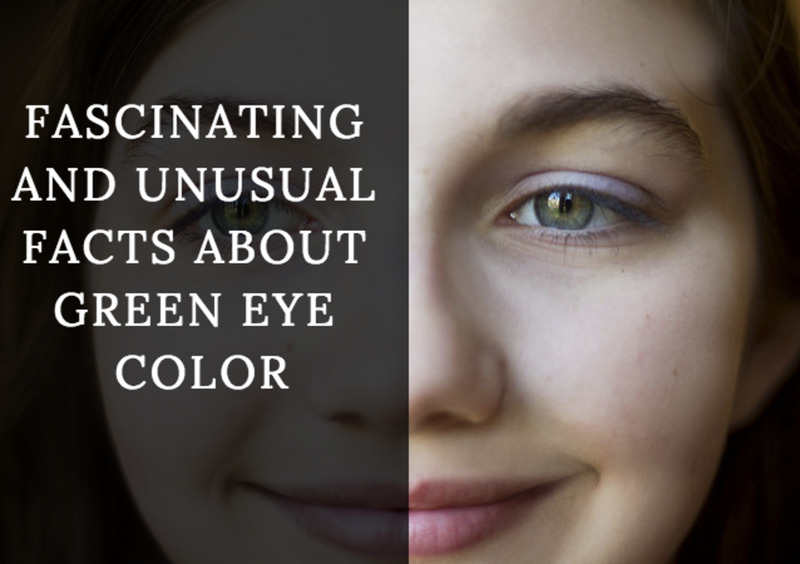 These are genetic disorders that disrupt the even distribution of pigment which then affects eye color. Scientists are only beginning to scratch the surface of how eye color is inherited. There are times when Mother Nature mixes things up in weird and wonderful ways. Central and Sectoral heterochromia can either affect one or both eyes. It is also possible for one person to express more than one type of heterochromia. I once met a girl who has both central and complete heterochromia. Her right eye is green and her left eye is blue. Surrounding the pupil of her green eye is a copper colored ring. This type can be obtained from injury, disease or as a side-effect of certain medications. 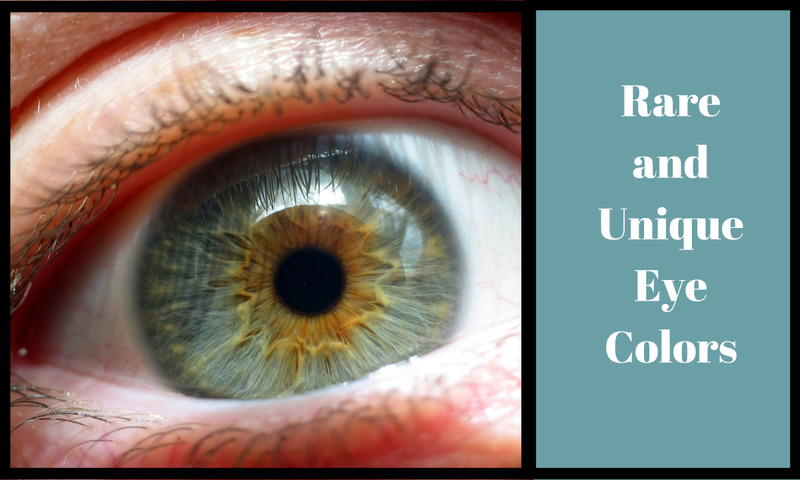 Injuries that cause bleeding inside the eyeball may lead to heterochromia. When blood leaks into the eyeball, depending on the severity, it can cause an abnormal deposition and accumulation of iron. An accumulation of iron in the eyeball turns the eye rusty, a condition known as Iron Siderosis. Siderosis can change your green eye into a rusty green eye. Melanin is a brown pigment that plays a key role in displaying eye color. Medications that disturb the even distribution of melanin in the iris will affect eye color. An eye drop called Levobunolol was found to cause depigmentation in the iris . Researchers also found evidence that another eye drop called Xalatan gradually darkens the irises of some patients. Experts believe that Xalatan triggers the synthesis of melanin. As you may already know, the more melanin you have in your eyes, the darker your eye color. 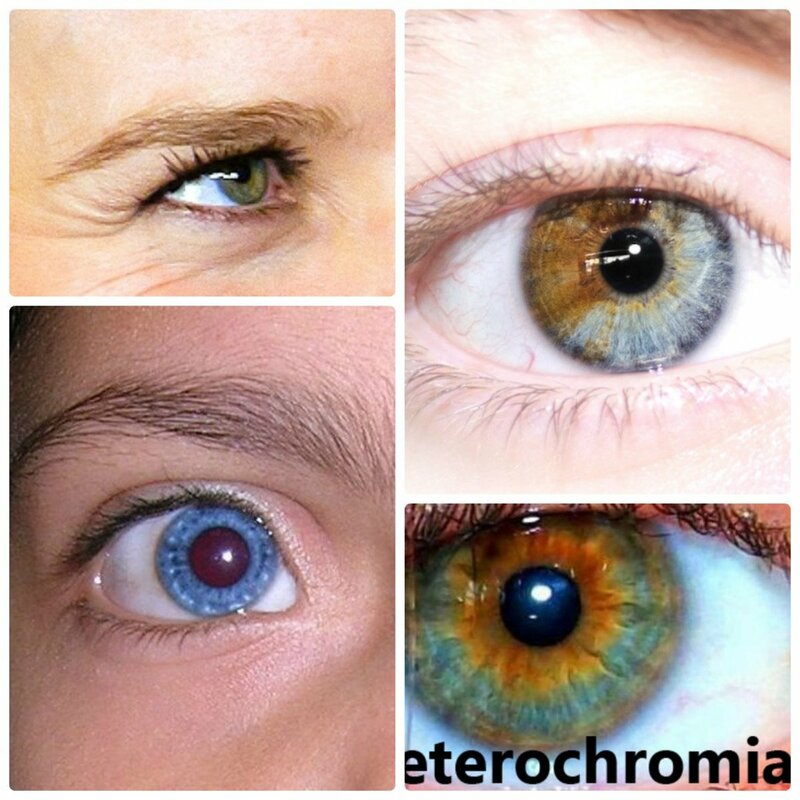 Not much research has been done to come up with a good estimate of the prevalence and incidence of heterochromia. In one study published in 1966, 7000 Maryland school children were examined for the incidence of heterochromia. About 0.7% of the children examined had segmental heterochromia. No incident of complete heterochromia was reported . Another study performed in 1979 with a larger sample of over 25000 people from Vienna reported different types of heterochromia. In this study, about 0.3% of the people examined had the condition. It was also found that females were two times more likely to have heterochromia than males . The result of such studies should be interpreted with care because the sample was restricted only to specific geographical locations. Hence the results maybe different in other geographical locations or when we consider the world as a whole. Experts believe that heterochromia is a rare disease. 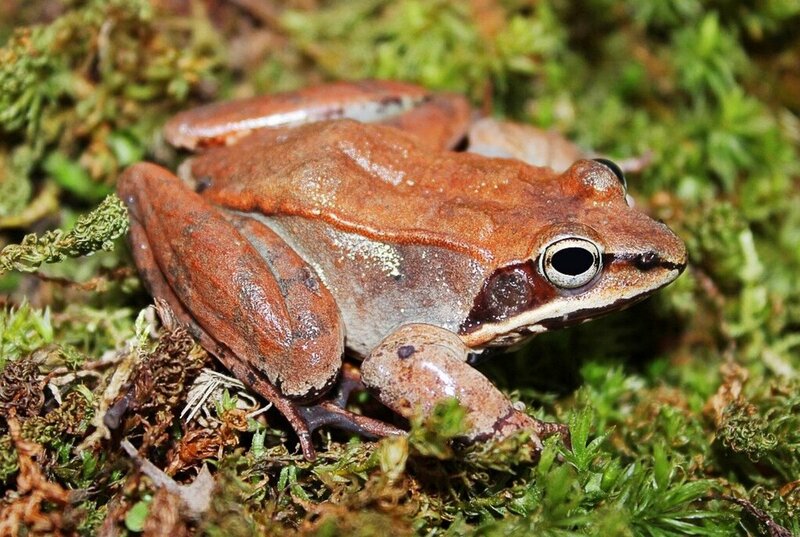 But not much research has been done to estimate which type is the rarest. So which do you think is the rarest type of heterochromia? Heterochromia is believed to be more common in animals than in humans. Some breeds of domestic cats such as the Angora cats are well known for their high incidence of complete heterochromia. 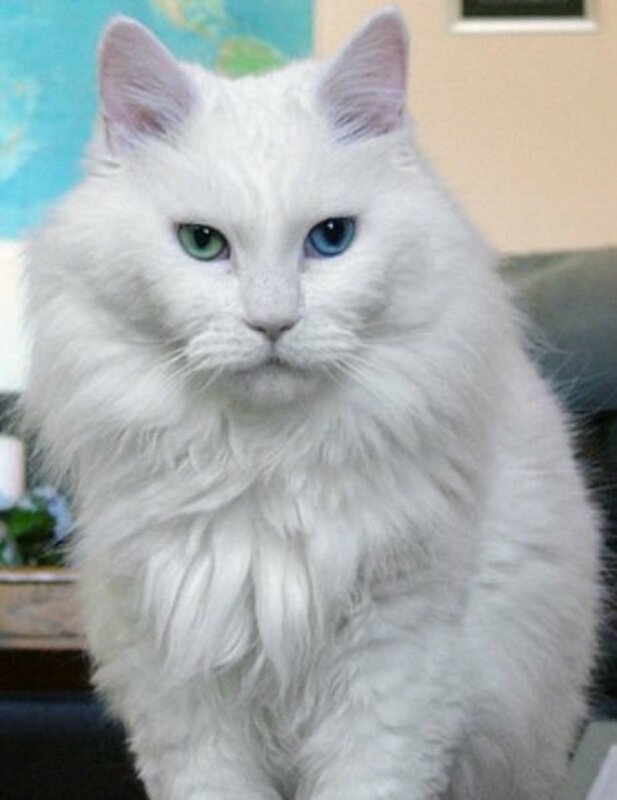 They are called Turkish Angora Cats because it is believed that they originated from central Turkey. The shimmery white coat and the large mismatched almond-shaped eyes give Sebastian quite a fascinating mug. Huskies are famous for their good looks. Maybe it’s their striking masks and piercing eyes that makes them so appealing. Every now and then you’ll find one with two different colored eyes. 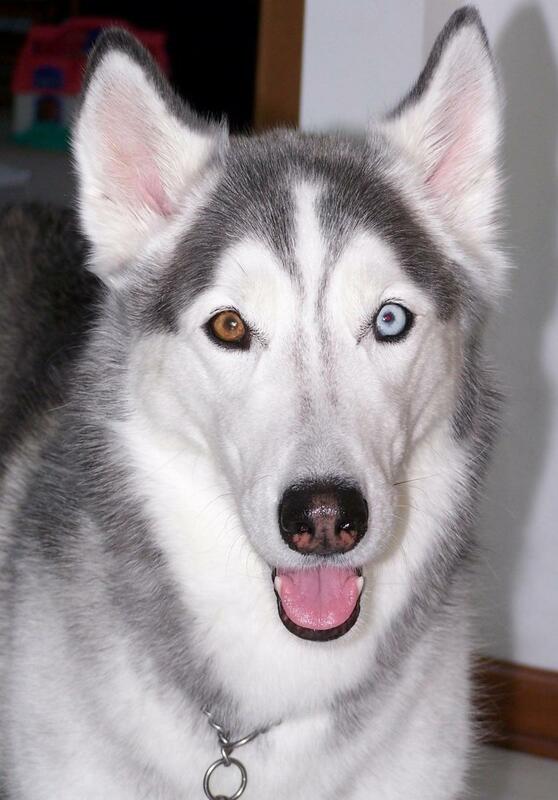 Huskies are among dog breeds that are more susceptible to express heterochromia. Let’s round off with Boutros whose blue and brown eyes sort of match the color of its coat. That being said, you shouldn't take eye color alone as your major consideration should you decide to get a pet. There are definitely other wonderful traits you should also consider. Thank you for sharing this very interesting information. Your hub is both educational and enjoyable.